Château Haut-Bailly occupies a terrific position across a verdant hilltop looking back toward Léognan. It is a beautiful spot, almost completely rural and yet little more than ten minutes drive from the outskirts of Bordeaux. Clearly the property is in excellent shape and the vineyards beautifully manicured. There is also a reassuring air of modesty about the place. This authenticity comes across in the wines, which are very good here in 2014. Haut-Bailly has aromatic purity, genuine substance and definition. All the elements are held in proportion. Alongside the ripeness lent by the Indian summer is 2014’s attractive freshness, the memory of cool months of July and August. It adds energy and vigour to the wine. 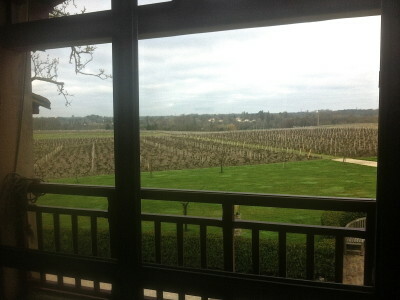 I also had the opportunity to taste the 2005 Haut-Bailly on my visit in April. This is just hitting its stride. Strong and deep, the wine shows considerable complexity. It will doubtless improve over the next decade and easily keep for another after that. The vintage here, from flowering to picking, spanned 114 days. Looking at the technical data, once again you are struck but just how wet the year was overall, with only September and October [along with December] having less rainfall than the 30 year average. As elsewhere a wet, mild winter encouraged a very early budbreak, but cool weather in May slowed vine development. While flowering was satisfactory for the Cabernet, there was some coulure and millerandage on the Merlot. The grey and wet months of July and August did cause concern but Haut-Bailly describes the hot sunny weather that arrived at the very end of summer as nothing short of ‘miraculous.’ September was the hottest recorded on the property since 1961 and 1921. In this respect the vintage resembles 1978, similarly ‘saved’ by a magnificent autumn. These remarkable conditions led to the concentration and proper phenolic maturation of the grapes, something that was looking more than a little uncertain in early August. The generally very dry conditions enabled plots to be picked at will in an unhurried manner, rather than in a rush under pressure [as was certainly the case in 2013]. The results speak for themselves and to a vintage that is already proving to be a fascinating one. The estate’s comparison here is between 2001 – in terms of harmony and balance – and 2008 – in terms of vigour and freshness. 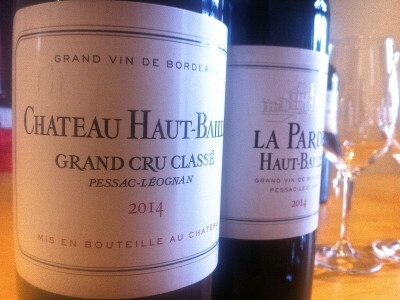 Also tasted was Haut-Bailly’s Château Le Pape, recently acquired in 2012. This is a 9 hectare property [with 5 hectares currently in production] suited to Merlot. The vineyards are nestled in a forest on a hill, 800 meters from Haut-Bailly itself. The wine looks good in 2014. 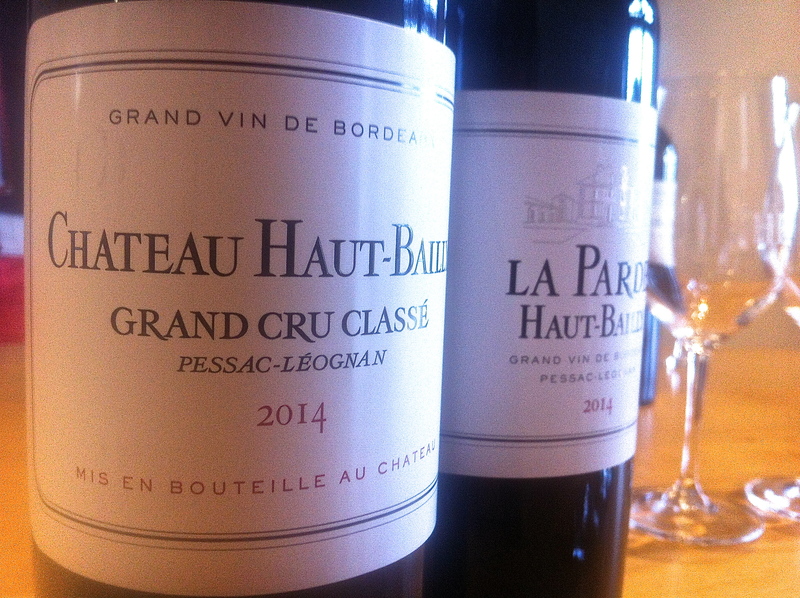 The following were tasted at Château Haut-Bailly on Friday, 3 April, 2015.